We got an ADORABLE review and giveaway today! 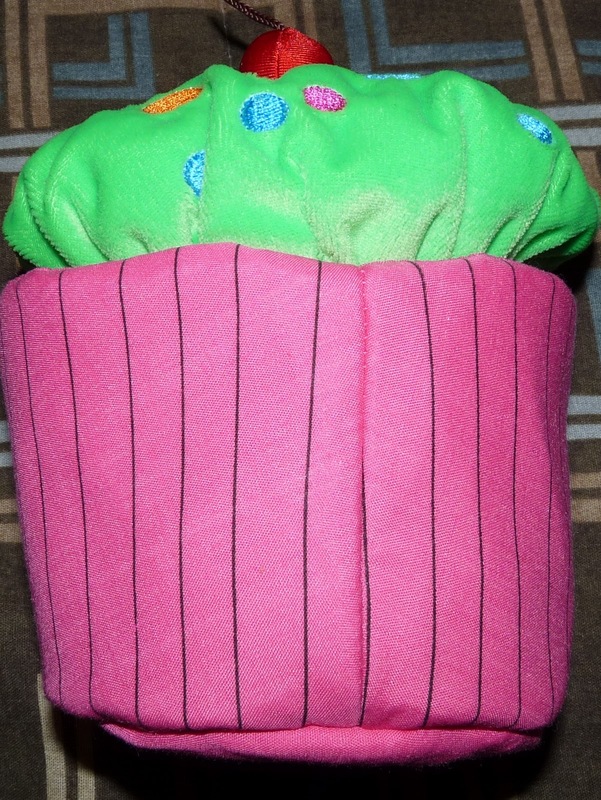 Look at how cute this stuffed cupcake is! very cute puppy in a cupcake! 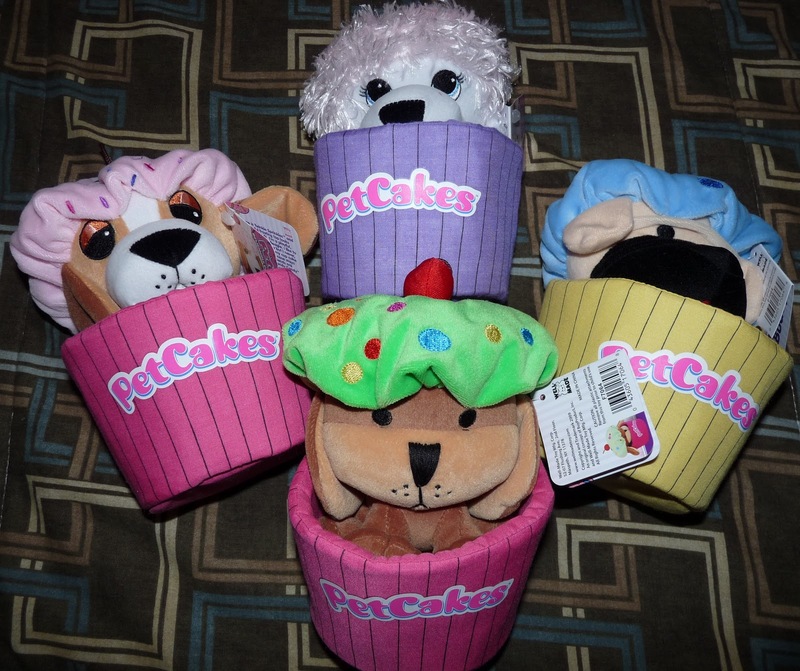 Introducing PetCakes, a new collectible plush pet line that will be a sweet treat for children ages 3 & up! This product takes two things that kids (and pretty much everyone else) love, puppies and cupcakes, and puts them together in adorable stuffed creation! 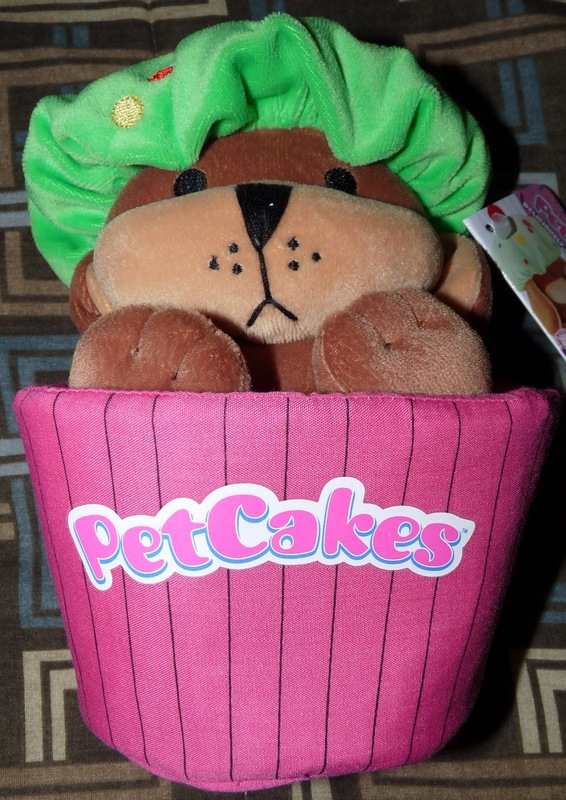 We were so excited to review PetCakes. These little plush toys are about 6 inches tall (depending on how far in or out of the shell they are) and are filled with cuteness. The toys are very soft and are very well made! 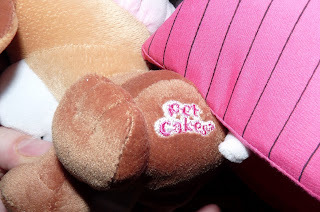 I was impressed with how good the stitching looked and how consistent the look of the toys were. I think these little stuffed toys will be great for the little one in your life (that is at least 3 years old), or any animal lover! The puppy series would be great for collectors. Each toy comes with a tag stating the name of the pet and a little bit about the pet. PetCakes has a suggested retail price of $13.99. PetCakes are available at specialty stores, www.toysrus.com (online only – not in the stores), www.etoys.com and www.amazon.com. I definitely would recommend these to anyone looking for an adorable and fun gift for a little one! 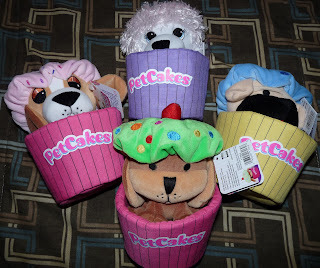 I give PetCakes 5/5 for exceeding my expectations and delivering extraordinary cuteness! I received the above products from the company for review. I was not paid to make this post and my opinions of the product are entirely my own. Honey Cakes is just too cute!! I love Randy Candy and Honey Cakes... too cute! I am a brand new follower of yours on Google Friend Connect. I like Randy Candy as I have a soft spot for strays/mutts. My kids would love Blueberry Buddy. That looks most like our dog, a bull mastiff. I subscribed via email. Thanks for the giveaway! "Like Six in the Nest on FB as Terri Sensibaugh! Following via Twitter as giveawayaddict! I follow as ACMommy on Google and we love Blueberry Buddy! He's so cute! I'm subscribed via email. Thanks! Honey Cakes from Honey Suckle Woods is my fav. So, we had a girl!